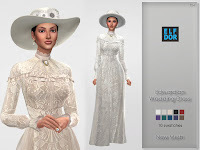 It’s a standalone recolor of Gorilla3x dress and you will need the original mesh from here. Link is updated so its working now. Thank you for your comment and sorry about inconvenience.